I need help from an expert to try to identify the location of this waterfall. 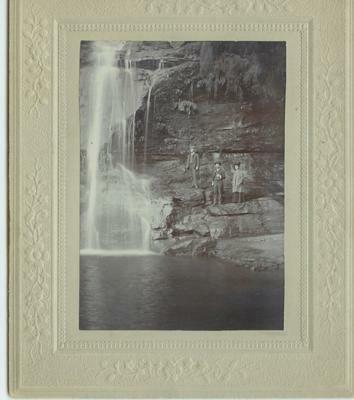 It was taken in 1907-08 in Australia or possibly Tasmania. Thank you for whatever help you can offer.